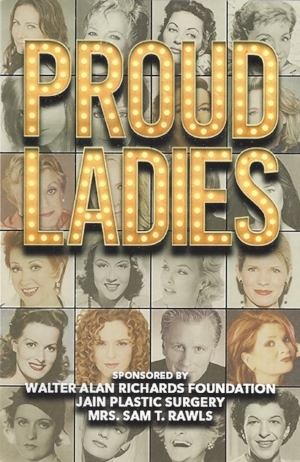 PROUD LADIES is Kurt Peterson's musical memoir, featuring music and stories from his encounters with 23 of the most talented, beloved, and legendary women of the American Theater. Proud Ladies, Kurt’s musical memoir, shares his journey navigating the world as a young man, arriving in New York wide-eyed and naïve, maturing and learning life lessons from 23 of the most exciting ladies of the American theatre. His “ladies” include: Laura Benanti, Betty Buckley, Dorothy Collins, Yvonne de Carlo, Carole Demas, Patricia Elliott, Katharine Hepburn, Cady Huffman, Angela Lansbury, Rebecca Luker, Patti LuPone, Victoria Mallory, Donna McKechnie, Ethel Merman, Dina Merrill, Bernadette Peters, Faith Prince, Kelli O’Hara, Paige O’Hara, Ethel Shutta, Alexis Smith, Elaine Stritch, and Nancy Walker. While Kurt is the only physical actor in this show, the 23 proud ladies loom large and act along with him through the use of multi-media depictions. This artful use of images—some never-before seen—bring these dynamic women to life. In this unique tale of history and hope, the audience feels their presence and the impact that these women had in shaping this man's view of the world, and himself. Our creative team includes Lisa Asher (director), Ian Herman (music director), Joshua Bergasse (musical staging), Jason Courson (set design), Frank Sawyer/Telegraphicmedia (projection design), Frank Dain (graphic design), and Stephenie Skyllas/Over-Sky Productions (producer and general manager). We’ve recently completed an out-of-town workshop premiere at the historic Springer Opera House, the state theater of Georgia. Stay tuned, we are in conversations with venues in New York and around the country for our next steps.